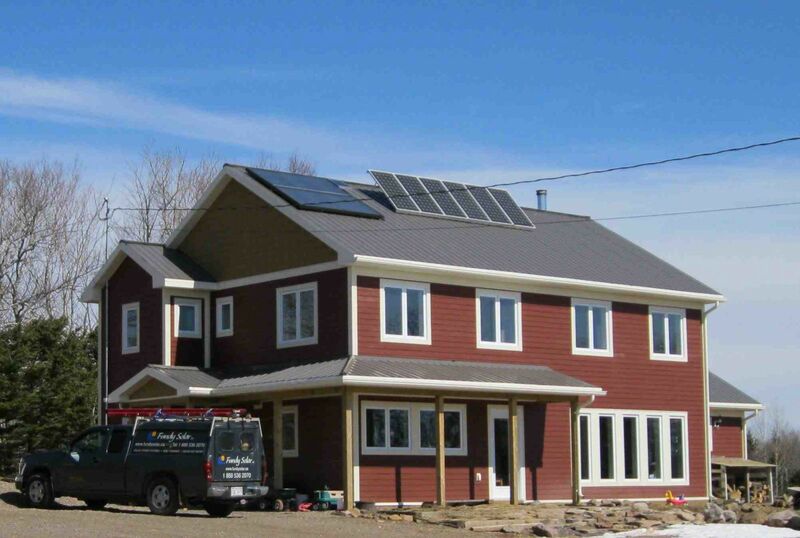 Below is a picture of the Efficiency Nova-Scotia's Eco Home grid tie power system. 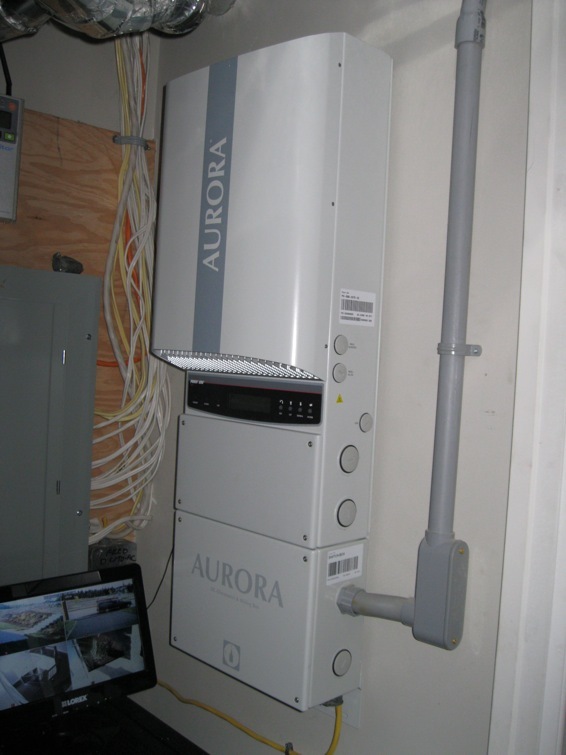 This system is 4.7kW capacity and it will off-set approximately 100% of the home's energy use. Elita installing the solar modules. Other examples of installation options below such as a tilt up rack required where roof-slopt is insufficient.